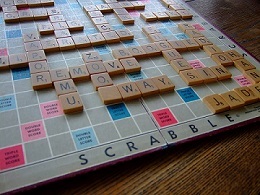 I love to play Scrabble® and if I play with someone new to the game or very young or elderly, or just feel like being creative, I often play open-handed. What I love to do, rather than play against an opponent, is to “play the board” … to get everything out of the board that we can and reach maximum points, celebrating the great words that we come up with. Win-win and … win. We both feel good about what we accomplished and even the board usually looks better than if we had competed against each other. In the same way, as a Mediator I am neutral and not aligned with any one party, but rather than call myself “impartial”, which sounds rather inert and unengaged, I describe myself as “multi-partial“. I want everyone to win, to come away whole and to celebrate that they created value together and benefited from that value, that they added to each others’ lives, rather than took away… whether materially, emotionally, mentally, socially, professionally or morally. Multi-partiality is an active and passionate open hand, creating high-value, meaningful words, connections and understanding that underscore the road to resolving conflict. Giving respect to all parties, listening intently, connecting with both parties and celebrating great solutions … each bit of progress and agreement along the way – celebrating shared success. The goal… a unique solution of their shared problem. The mediator raises questions and helps probe for options… the solutions are in the clients’ hands, encouraged to be open as well for maximum power and potential. The mediator models what may be new communication tools and learning attitudes for clients – a new way to “scrabble” toward solutions – through a love of problem-solving and an opportunity to discover something new … ultimately to create something new together. And always as a Mediator I play with an open hand and show my tiles. I show my humanity. I sometimes show my own struggle with conflict and with detaching from my own perceptions, and discuss the very human pains of change and challenge. And, I am transparent with the mediation process, explaining what we are going to do next and why, sharing the listening and reflecting skills that I use and inviting them to make good use of them. Because I am equally respectful and curious with both parties, because I assert constantly that this is a shared problem, they see that I am not biased. Coming from a world of positioning and aligning, participants in Mediation may find themselves in unknown territory when they suddenly can’t be right by making someone else wrong, and they know the Mediator can’t be co-opted to a side. This key component of the Mediation process is itself a key shift in dynamic for parties, from convincing the Mediator to convincing each other … and that playing an open hand lends more power to create more value for everyone involved. Because the Mediator mutualizes the problem and has parties focus on that, rather than each other, they experience not only a lack of bias, but a lack of its need … which at first seems like staring at a blank tile, and then, as it is often with a new experience or concept, they grapple with what that means and where to go next. And like blank Scrabble tiles, which can stand for anything… they start seeing a wider spectrum of possibility as together they un-scramble the jumble of letters and information, and explore possible options and problem-solve … together. And when we all do that well, we hit that triple word score – that win-win-win. Wins for each party – and the third thing that they created – the surprising and surpassing agreements that can arise when together we ‘play the board’ with a multi-partial, open hand. SCRABBLE® is a registered trademark owned in the U.S.A and Canada by Hasbro Inc.
Transformation-Efficiency-Settlement … YES, you can get all 3! Spectra Mediation… what’s in a name? First news of upcoming Blogs, Workshops or Events delivered straight to your inbox.